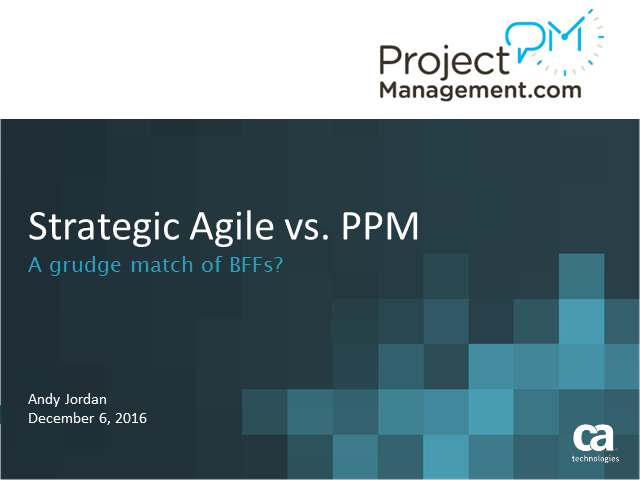 Strategic Agile vs. PPM – a grudge match or BFFs? This webinar promises to challenge some of the Agile stereotypes that exist as Andy offers innovative ideas and approaches that promise to give all organizations a chance to improve portfolio success. Don’t miss out, register today. Title: Strategic Agile vs. PPM – a grudge match or BFFs?